GSK’s Pandemrix Disaster:…” Full clinical trials had not been completed before six million doses were administered in the UK and 30 million across Europe. …. At least three people in Northern Ireland who developed an incurable sleep disorder after receiving a flu vaccine are suing a pharmaceutical giant and the British government. The UK-wide class action suit is also being taken against a number of companies involved in the production of Pandemrix – including British manufacturer GlaxoSmithKline (GSK) – which remains at the centre of a global narcolepsy controversy. Almost 350,000 doses of the swine flu vaccine, which included Pandemrix, were issued to protect certain “high risk groups” in NI as part of a mass immunisation campaign in 2009/10. Six-month-old children and pregnant women were among the recipients, which also included 33,000 healthcare workers and medical students. At least 119 people in the UK – including dozens of NHS staff – claim they were affected by the vaccine which can trick the human immune system into mistaking the neuropeptide Orexin – a vital regulator of sleep – for the H1N1 virus. But health officials in England and Northern Ireland deny any link to the vaccine and insist that narcolepsy can occur spontaneously. The Department of Health in England is involved in the legal action because the UK Government indemnified the company behind Pandemrix in order to expedite production amid fears of a swine flu pandemic. A test case is currently before the High Court in the Republic of Ireland, where dozens of cases have also been reported. Full clinical trials had not been completed before six million doses were administered in the UK and 30 million across Europe. The disorder causes sufferers to collapse into a deep sleep without warning, often in the middle of daily tasks such as eating and bathing. Although there was no known link between Pandemrix and narcolepsy in 2009, campaigners say evidence was beginning to emerge in countries across Europe and as far away as China. However, the UK Government reissued the vaccine in the 2011 as a seasonal flu jab. A global spike in narcolepsy prompted the Medicines and Healthcare products Regulatory Agency (MHRA) to conduct a thorough review before EU regulators restricted the licensed use of Pandemrix. It is no longer licensed at all. 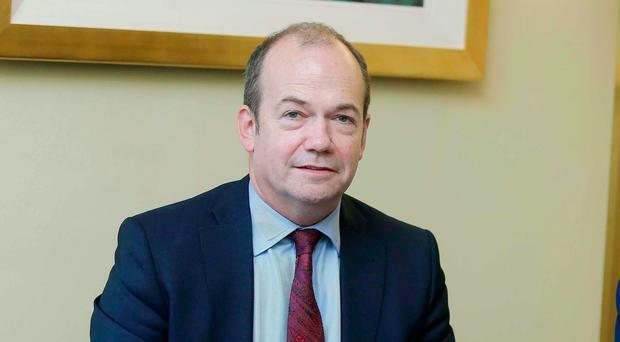 In 2011, Northern Ireland’s chief medical officer Dr Michael McBride said it was typical that new instances of narcolepsy would be reported, but he played down any link to the vaccine. “The fact that symptoms occur after a vaccination is given does not mean that they have been caused by the vaccine itself, as underlying illnesses and other conditions may be responsible,” he said. The Department of Health in England and NI continue to assert that view and said narcolepsy can occur “naturally” and “spontaneously”. A spokesperson for the Department of Health and Social Care in London also said the decision to vaccinate was based on guidance from the Joint Committee on Vaccination and Immunisation and the European Medicines Agency. They added that it would be “inappropriate” to comment further due to “ongoing personal injury claims”. A spokesperson for the Department of Health in Stormont said it is only aware of two individuals being affected. It is feared that others have yet to display the symptoms of narcolepsy – in some cases it manifests itself many years later, such as during puberty. A GSK spokesperson was unable to comment due to ongoing litigation. Heroes (and Heroines) : My Aunt.. I don’t often write about my personal life on this blog, and I could write a hundred posts about heroes (and heroines) in this arena of blogging and patient activism. There are so many. Bob Fiddaman, Leonie Fennel, the author of Seroxat secrets, Peter Gotzsche, Phil Hickey, David Healy, to name but a few of the many dozens of folks doing heroic deeds every day of their lives. However, a personal heroine of mine was my aunt. She died in March this year, after 6 weeks of illness. It was a shock to me, and I am still in stages of grief. She wasn’t just a regular aunt, she was more like a mother to me. She was there for me when I came off Seroxat, when my nervous system was fried from withdrawal, and she offered me compassion, understanding and support. She was an angel, and she was heroic every day of her life. She had an unflinching capacity for compassion, fairness, and love. She was one in a million. I will miss her, she was one of the few cheerleaders I have had in this life. I wanted to dedicate a post to her, so there it is..
A NUMBER of children received a double dose of the controversial swine flu vaccine, which is now at the centre of a global controversy over the sleep disorder narcolepsy, the Irish Independent can reveal. The HSE provided doctors with stockpiles of the vaccine when supplies of the normal winter flu jab threatened to run short in 2011. The vaccine Pandemrix, developed by GlaxoSmithKline (GSK) in Germany, was first used in Ireland in 2009-2010 during a threatened swine flu pandemic. But it was re-issued in Ireland amid fears of a shortage of the usual winter flu vaccine in 2011. Around the same time, major concerns were beginning to emerge in other European countries, amid a sudden spike in cases of the sleep disorder narcolepsy. Now the Irish Independent has learned of a young girl who received two doses of Pandemrix – one in 2009 and another unwittingly in 2011. She is now battling narcolepsy daily. Her mother and older sister also received a Pandemrix dose in January 2011, believing at the time it was the ordinary winter flu vaccine. The vaccine is at the centre of a global narcolepsy controversy, amid revelations the vaccine tricks the human immune system into mistaking the neuropeptide Orexin for the swine flu virus. Orexin is a vital regulator of sleep, and the consequences for sufferers can be catastrophic – they can collapse into deep sleep without warning, often in the middle of daily tasks. Some can even fall asleep while eating, with their mouths full of food. Many will suffer from narcolepsy and its symptoms for the rest of their lives. To fast-track the vaccine into service in 2009, the Government granted GlaxoSmithKline a full indemnity as demanded by the drug firm. The Government, like other European countries, were desperate to get a vaccine into service at the height of the 2009 swine flu, or H1N1, scare after the World Health Organisation warned of a pandemic. “Due to ongoing litigation in Ireland concerning Pandemrix and other confidentiality commitments, we are not able to comment,” a GSK spokesperson said. The Irish Independent has now learned the Pandemrix problem facing the State was compounded by the decision in 2011 to use up vaccine stockpiles when doctors ran short of normal winter flu jab. It is feared others may have unwittingly received doses of Pandemrix but have not yet displayed symptoms of narcolepsy. In some cases, narcolepsy can manifest itself many years later, such as during puberty. A test case is currently before the High Court over an alleged breach of duty of care over the provision of Pandemrix with the HSE, Health Minister, State drug agency and GSK as defendants. The young woman involved claimed she suffers from narcolepsy, cataplexy and fainting fits as a result of receiving the vaccine in 2009. Liability has not been conceded. In the UK, one test case already resulted in a payment of £120,000 (€134,000) to a 12-year-old boy who developed narcolepsy after receiving the swine flu jab. Almost 100 further cases are expected before the Irish courts in the coming years. Tens of thousands of doses of Pandemrix were initially offered nationwide by the HSE in 2009 and into 2010. In March 2010, the HSE advised a halt to the use of Pandemrix. However, just eight months later, the HSE faced a problem with a threatened shortfall of normal winter flu vaccines. With significant stocks of Pandemrix still unused, on January 7, 2011, the HSE re-issued Pandemrix as a replacement flu vaccine if other supplies ran out. However, major medical investigations were already under way since August 2010 into possible side-effects from the vaccine in Sweden, Finland and Norway. Finland’s National Institute for Health and Welfare (NIHW) and Sweden’s Medical Products Agency launched separate probes in August 2010 amid mounting reports of narcolepsy in youngsters who had received the vaccine. However, no formal study results were available until early 2011. In a January 2011 letter, the HSE National Cold Chain Service confirmed it was re-issuing Pandemrix supplies given concerns over a winter flu vaccine shortfall. The HSE letter added the winter flu vaccine should be prioritised for pregnant women, and children aged from six months to 18 years in medically at-risk groups. In late February 2011, Finland’s NIHW announced a spike in narcolepsy cases and a suspected link between Pandemrix and the sleep disorder. On March 28, just 11 weeks after its Pandemrix re-issue letter, the HSE ordered a halt to all use of the vaccine on foot of the NIHW report. “I am sure you are aware of reports from Finland and more recently from Sweden regarding a possible association between the use of Pandemrix and the onset of narcolepsy in young people,” a senior HSE official advised in a letter to clinics. However, despite that HSE statement, at least three people received the Pandemrix vaccine as the winter flu jab. The campaign group Sound (Sufferers Of Unique Narcolepsy Disorder) fears there are many more. One little girl received her first dose of Pandemrix on November 16, 2009, and then a second dose of Pandemrix on January 18, 2011, 11 days after the HSE letter was issued advising GPs to use the vaccine in case of a shortfall of the normal flu vaccine. The Irish Independent has seen the youngster’s vaccine record. Studies by the ‘British Medical Journal’, the European Medicines Agency and NIHW found that children vaccinated with Pandemrix have a 13.9 times higher risk of narcolepsy than unvaccinated children. A report commissioned by the Irish Government in 2012 further verified these findings. However, the 2012 report was not a definitive medical study. Sound now provides support for over 90 Irish families so far affected by the vaccine. It wants the State to provide a support pathway for children and young adults without each having to be assessed on an individual basis for such vital resources. Taoiseach Leo Varadkar was recently challenged in the Dáil over the Pandemrix issue by the Independent TD Clare Daly. He said his understanding was that a definitive medical study link between the vaccine and narcolepsy had not yet been confirmed. However, Sound is demanding an explanation as to why the Government opted for the German-made vaccine now at the centre of the narcolepsy controversy when a second vaccine, manufactured in Canada, was also available. A single extra ingredient in the German-made vaccine is believed to be the source of the narcolepsy issue. The Canadian vaccine has not been linked with major narcolepsy issues. “New sufferers are still presenting,” warned Tom Matthews, one of Sound’s founders. “Sound has always stated that it is not anti-vaccine, and that the Pandemrix scandal was a result of the State rushing to get whatever vaccine it could and that it was acting with the best intentions. “However, from the start, their response to what transpired has been painfully slow and this has been an extremely difficult and protracted process for the families involved. Mr Matthews said the case highlighted by the Irish Independent was “another tragic example of the ongoing scandal of Pandemrix”. The US-based Centre for Disease Control (CDC) ordered a full study into the swine flu vaccine. However, it found no link between the Canadian vaccine and narcolepsy. Critically, the CDC confirmed that Pandemrix was never licensed for use in the US. However, a HSE spokesperson said it had only sought tender applications from pandemic vaccine manufacturers in Europe and whose products were licensed by the European Medicines Agency (EMA). “The HSE only procured pandemic vaccines that were licensed by the EMA. Pandemic vaccine which was manufactured in Canada was not licensed by the EMA,” a HSE spokesperson said. Heroes: Scottish Psychiatrist Peter Gordon..
Scottish psychiatrist Peter Gordon has been banging the drum about ethics, truth and transparency in psychiatry on his excellent blog for quite some time ( for years actually). He is a true patient advocate, and being on Seroxat for two decades himself (and unable to come off it due to side effects), he certainly knows a thing or two about these serious issues. He is another hero in my book. His recent posts, in particular, also set another bar in terms of heroism. It takes balls (and the guts of a warrior) to go against the profession of psychiatry; particularly from within. This is heroism of the highest degree. Peter certainly has bigger balls then me, bigger than most actually, and his latest series of posts expose the inescapable truth that stains psychiatry: It’s complete and utter bastardization to the drugs industry. If you haven’t checked out Peter’s eloquent and creative blog. Peter’s recent expose of the links between Big Pharma and his colleagues in psychiatry is heroism in action. Peter is not afraid. He is heroic. I have wanted to do a tribute to Monica Cassani, and her beyondmeds blog, for quite some time. Monica has worked tirelessly, for years, to bring awareness to those who have been harmed by psychiatry, and prescription drugs; in particular psych meds. Her blog is amazing, if you haven’t checked it out, you really should. I’ve been thinking a lot about heroism lately, and Monica certainly falls into that category. It is heroic to speak your truth. It is heroic to help others, particularly when you have enormous struggles yourself. It is heroic to work tirelessly despite being in immense pain, and often agony. Monica has heroism by the bucket load. Her latest post sets the bar, in my opinion. In it she details the iatrogneic harm (drug damage) that she was subjected to by her doctor. She names and shames this individual and perhaps if more people had the guts to to this, these drug pushing doctors would think twice before drugging people into utter disablement. There are thousands, of us, hundreds of thousands actually, who have been in Monica’s situation. Prescribed psych-meds, not warned of side effects, deceived by drug company lies, and the psychiatric drugging regime. We’ve had years of suffering, many of us permanently disabled or disfigured. Psychiatry won’t acknowledge us, it can’t. To do so would mean validating us, and validating us- invalidates them. This is too much for the conventional psychiatric super-ego to handle. So instead, they mock us, vilify us, ignore us and block us. Monica speaks for those who can’t express this psychiatric harm, and she does it with a great sense of integrity and humility, in excellent prose, that simply oozes off her blog pages. She makes doing this kind of humanitarian work look easy. It’s damn hard. It’s a huge sacrifice, and it is draining, but she has saved lives, and she did that despite her own life hanging in the balance. That’s the definition of: Heroic. In the spirit of #METOO enough is enough. Psychiatry has destroyed my life far worse than the two times I have been raped. (I don’t speak for everyone, but that is true for me.) The fact is many lives have been harmed as mine has by psychiatry. Too many people have been abused, sickened, disabled (and died too) by psychiatry and no one takes responsibility for it and most of society refuses to acknowledge it’s happening. It’s time to end such treatment and trauma. I don’t actually even have hard feelings for this man in particular, Joel Marcus, MD. I liked him. It’s been many years since I’ve seen or talked to him now. He’s simply the man who harmed me in the way that all of psychiatry harms people everyday and doesn’t own up to it. I think getting personal about this stuff is appropriate at some point. I want to know that my experience will help others never have to go through what I and the many thousands of people I advocate for have had to go through. While it’s personal on one level, more importantly, Joel Marcus is every psychiatrist and all psychiatrists have to own what has been done in the name of their profession. This action is that we might raise awareness with the hope that he and others like him can come to peace with what he’s participated in while first taking responsibility. The first step is to acknowledge that his practice harms people. And this post will come to his attention because people like me who are researching their doctor will find it and have some questions. It will help some folks come to this information so that they might make better educated choices than those I and those I advocate for were ever able to make. Joel Marcus is both a neurologist and a psychiatrist. This is, of course, additionally horrifying since what many who have iatrogenic psych drug injuries are suffering from are, indeed, brain injuries. He’s also well-regarded and respected (as well as a likable guy which makes it additionally tricky for those meeting him and wanting to question psychiatry — which I did at the time.) He had me on a cocktail of 6 drugs mostly all at the very highest doses by the end of the time I was subjected to his toxic care. This too, is horrifying. The heinous, dangerous, toxic care I got is standard treatment in psychiatry. I was treated before the internet existed and didn’t have any sources of alternative information, though I tried. So, I’ve never outed this MD who “treated” me for the bulk of the time I was over-drugged although I’ve mentioned him many times over the years. I decided to out him now since he’s never acknowledged the toxicity and dangerousness of these drugs even though I’ve communicated with him for many years, hoping to get some acknowledgment and perhaps help those whom he still drugs. It seems reasonable to hold every psychiatrist responsible for those they’ve harmed and he’s the only one I can call out. Other psychiatrists might start thinking twice if this becomes something that many people do. Creating change and rising up from oppressive societal forces is always a bumpy process. He can now answer to anyone who sees this post and explain why he had me on this monstrously large cocktail that almost killed me multiple times now (that’s not hyperbole). Perhaps, occasionally, someone will walk away realizing that there are choices that these doctors never let us know about. Informed choice remains the thrust of my work. No one should have to find out, somewhere down the line, that these drugs kill and disable with some frequency. While this sort of excessive prescribing happens there is actually no evidence base anywhere in the medical literature that would support such polypharmacy at such high doses. To be clear, psych drugs can harm at any dose. Robert Whitaker’s books on psychiatry thoroughly examines the evidence base. And here are some books to get started with too if this is new information for you. And again, Robert Whitaker’s books on psychiatry thoroughly examine the evidence base. “….And what do the shy do in such an age, when their condition is no longer hidden by the reticence of society in general, when shyness might mean unemployment? According to SmithKline Beecham and its supporters in the medical profession, they take a pill. Seroxat is the brand name – the generic is paroxetine – and last month it was licensed by the Government to treat “social phobia/social anxiety disorder” (or shyness), which means that it will be available on the National Health Service. On Thursday, I went along to a press conference at the Royal Medical Society in Wimpole Street to hear about it. Smith-Kline Beecham had been stung by a front-page piece in last week’s Sunday Times which linked Seroxat to other new “lifestyle” drugs, Viagra and Xenical (for obesity), and estimated that it could cost the NHS an extra pounds 700m a year. An essential re-post from ethical psychiatrist Peter Gordon’s blog about the influence of the pharmaceutical industry upon his colleagues (other UK psychiatrists) such as Professor David Baldwin. Baldwin has been in the pocket of Pharma for a long time. He was instrumental in promoting the idea of Seroxat for social anxiety. I wonder what he thinks now, considering what we know of Seroxat and GSK, particularly in relation to Seroxat/Paxil causing suicide in adults (see the Dolin case) and Seroxat causing suicide in children? (see GSK Paxil study 329) I wonder also what Baldwin thinks of his Pharma paymasters? what does he think of the fines GSK have paid in the US, and China? (totaling 3 and a half billion respectively). Does he think that we can trust the data on these drugs? Does he think we can trust drug companies? (see David Healy’s blog about this). Does Dr Baldwin still think that Seroxat is one of the safest drugs ever made? Professor David Baldwin took chairmanship of the Royal College of Psychiatrists Psychopharmacology Committee when Professor Allan Young had completed his tenure as chair. Based on available evidence, and this is limited, it seems that Professor David Baldwin has worked for the pharmaceutical industry through most of his career as a psychiatrist, academic, and educator. On the 8th October 1998, paroxetine was licensed in the UK for “Social anxiety disorder”. I was commenced on it for anxiety just weeks later. Nearly twenty years on and I am still taking it. I was never told that I might be taking it life-long. Had I been told of this I would not have consented to take it. Professor David Baldwin was the lead co-ordinator of the European trial on paroxetine for “Social anxiety disorder”. After several months on paroxetine I stopped taking it. I thought nothing of this until 36 hours after stopping it, when I felt nauseated, began to sweat profusely, and heard a constant buzzing in my head. I found that I could no longer think clearly nor concentrate. In short, I felt dreadful. Wondering if it was paroxetine (given the temporal relationship to my symptoms with the stopping of my only medication) (I was thinking as a doctor) I restarted paroxetine . . . and within a few hours my ‘symptoms’ went away. From that time on, I tried gradually to reduce my paroxetine. I failed. I found that cutting tablets into small pieces could never be exact. Whilst discontinuing from paroxetine, I felt like I had flu, woke up frequently during the night, and became irritable and bleak in outlook. In my gradual discontinuation of paroxetine I was aware that my mood had become lower than I had ever experienced. In early 2004, a little more than a week following finally discontinuing paroxetine, I had my only severe depression. I ended up in a psychiatric hospital but took my discharge. I then tried to hang myself with my belt. I am here to tell you some of this story because the steel curtain rail broke. The suffering that my wee children and my wife must have gone through is beyond what a loving daddy should ever wish to to consider. In December 2016 the Royal College of Psychiatrists offered reassurance that relationships with Pharma were “all in the past” and that all is now “puritanical”. Concerned about what seemed to me as casual reassurance I shared with the then President of the Royal College of Psychiatrists, Prof Sir Simon Wessely, evidence that demonstrated that these reassuring public statements had been made without justification. Over the period of his Presidency Prof Sir Simon Wessely kindly corresponded with me about this issue (though I often sensed his irritation with my correspondence). Prof Sir Simon Wessely made clear to me that our correspondence was to be considered as “private” and “chit chat”. Following my communications with my College (mostly unanswered) changes were made to the governance of competing financial interests of College members. The new system put in place by my College might be called the “Wessely system”: unsearchable, bureaucratic, and providing no detail. My experience of Professor Sir Simon Wessely is that I had to follow his narrative. I want to make absolutely clear that I consider key opinion leaders to be honourable people. However we need to acknowledge evidence that has demonstrated that paid opinion leaders promote prescribing of worse treatments for patients. It seems to me that my profession remains in denial about this. This robust public statement was to be part of a formal complaint made to the Royal College of Psychiatrists. This complaint has now been raised to the Secretary of State for Health. 1 in 6 of us are now taking antidepressants, and many of us indefinitely. Many of us find that we cannot stop taking our medication. If we have symptoms on stopping, these are generally considered as symptoms of “relapse”. Geddes study of 2003 does not provide “compelling evidence” for “maintenance treatment” [the authors conclude as much in their discussion]. Professor David Baldwin has been chosen as one of the experts to give evidence on Prescribed drug dependence and withdrawal for the forthcoming Public Health England review. Given the narrative that I have presented, I worry about this decision. Declaration of interest: I was one of those who signed a formal complaint to the Royal College of Psychiatrists and then to the Secretary of State for Health. In my last post ‘Wendy Burn’s Baptism Of Fire‘, I expressed my disappointment about (Royal college of Psychiatry’s president) Wendy Burn’s lack of engagement on Twitter, particularly in relation to difficult questions about SSRI side effects, and the behavior of the manufacturers of those meds (pharmaceutical companies like GSK for example). Wendy has responded to some of these questions, however these responses are far from adequate, and they certainly don’t bring closure to these issues. In fact, her responses seem to open even more cans of worms, instead of closing them. I’m not going to go into detail about Wendy’s responses, because I am at the point where I realize that engaging with Wendy Burn will not make any difference. That much is clear. She will not challenge herself, she will not challenge the status quo, and she does not seem interested in protecting her patients from unscrupulous, unethical and immoral pharmaceutical companies. She might engage with the odd tweet, here and there, but she doesn’t seem to bring any of these issues to a conclusion, and she seems disinterested in addressing the really tough questions. Her tactic seems to be to leave them hanging, or making some excuse about being busy, saying she will get back to it, and of course- this doesn’t materialize. She seems more concerned with frivolous tweets about cats, or about just generally trying to portray the college of psychiatry in a twee, sanitized -light. This is- of course- her job. She is the face of psychiatry UK. Her main purpose is public relations. It’s a political role (and she plays it well!). Some of the issues I questioned Wendy about are very serious indeed. The fact that pharmaceutical companies withhold, suppress, deny or lie- about side effects at all- is disturbing- period. The fact that they have been caught doing this for years, should deeply concern every medical professional. Wendy appeared not to be aware of the many cases I linked her to, or if she was half-aware she seemed not that interested in delving into them. This is deeply concerning. The fact that she is not utterly outraged, and disgusted, and moved to act- on behalf of her ‘patients’ (the mentally ill), is even more concerning. Wendy is in a position where she could enact real change. She could call attention to the pharmaceutical industry’s callous disregard of patient’s lives and health in cases such as the Seroxat, Zyprexa and Risperdal scandals. However, it seems that this is not of priority to her. In one of her tweets she said that she warns patients (before taking SSRI’s) that ‘any drugs can have any side effect’, but in another she is skeptical about SSRI’s causing violence (this despite many of us telling her that SSRI’s made us- the ingesters of the drugs- violent and aggressive). Personally, I don’t believe that any psychiatrist would tell their patients that ‘any drug can cause any side effect’, and if they do, it’s the biggest cop out I have ever witnessed. Her engagement overall is very disappointing. What is even more disappointing is, when she actually read some of the links I gave her of articles relating to these cases, she attempted to undermine them, or discredit them. When I persisted, she seemed to concede somewhat, but then backed away, and went back to sticking her head in the sand. I give up on Wendy Burn. I wish her well in her role. However, she does not represent my mental health or concerns, nor would I want her to. It takes guts to be a true patient advocate. Not tweets about bloody cats. Tricyclic antidepressants in small doses have been used for bed-wetting since the 1960s. You are talking to me on my private account. Will get a proper briefing from the policy team. Have also seen diabetes with olanzapine. In USA some doctors give an anti-diabetic drug with it. Thanks, very interesting blog. Will keep on trying! Yes I condemn it. Its wrong and also stupid. But I am only hearing one side of the story, presumably the drug companies would deny this? Again this has to be answered from my clinical experience which is schewed as its all in the community so no one is forced to take the drugs. Some people chose to stay on olanzapine despite the side effects. Well none of my patients have murdered anyone (or if they have its not been discovered). OK I agree that is bad. How do we change this behaviour? Maybe the law suits will. My standard statement to patients (after listing common side effects) is “Any drug can cause any side-effect”. Its best to arrange early review and ask them to get in touch if problems. No hadn’t but just looked it up. Gosh. Not so sure about Panorama but accept that you don’t. If that’s true then yes it is wrong and disturbing. The mainstream media suddenly have discovered that stopping antidepressants can lead to disastrous withdrawal symptoms. An article in The New York Times carried the headline, “Many People Taking Antidepressants Discover They Cannot Quit” (April 7). A patient who had been on the drug sertraline (Zoloft) described symptoms of withdrawal – dizziness, confusion and fatigue – that persisted for months. “I’m having trouble with rather severe withdrawal effects caused by abrupt discontinuation of Paxil nearly two months ago. I took 20 mg daily for about two years for depression. When I felt less depressed and realized that my inability to have orgasms was a side effect of the drug, I asked my shrink about discontinuation. He said to stop cold, so I did. “Two days later, I saw sparkling zig-zag colored lights and had tunnel vision. Diarrhea, shakiness, horrible insomnia, wildly brittle emotions and overwhelming crankiness set in. I was completely unable to concentrate or to do normal mental tasks, such as subtracting one four-digit number from another. I kept saying that there was something wrong inside my head! I fell down, ran into things and got covered with bruises. I was nauseated. “I called the psychiatrist, who told me to take more Paxil. Instead, I asked him to do a literature search about withdrawal from Paxil, so he would know more about the drug he was prescribing. Two days later I received a letter from him, firing me as a patient. In our answer, we pointed to a growing recognition that sudden discontinuation of antidepressants such as paroxetine (Paxil) sometimes can cause withdrawal symptoms. The manufacturer told us that dizziness, sensory disturbances, nausea, agitation and anxiety all had been reported. We were disappointed that the psychiatrist wasn’t more understanding and sympathetic about the symptoms this person was experiencing. We weren’t that surprised, however. In the mid-1990s, there still wasn’t widespread realization that stopping drugs like sertraline or paroxetine could lead to long-lasting and severe adverse reactions. Fast-forward to 2018. There is much more awareness about withdrawal symptoms. The Food and Drug Administration has given this kind of reaction a scientific name: “discontinuation syndrome.” People report brain zaps (electric shocklike sensations in the brain), dizzy spells, nausea, headaches, sweating, anxiety, fatigue, insomnia and digestive problems. Some of the other antidepressant drugs that can produce the discontinuation syndrome include citalopram (Celexa), desvenlafaxine (Pristiq), duloxetine (Cymbalta), escitalopram (Lexapro) and venlafaxine (Effexor). Occasionally, patients may need to stay on antidepressant medication for many years. But for those who wish to get off their medicine, there are no good guidelines for gradual tapering. It IS long past time for the FDA to require drugmakers to develop evidence-based strategies to help people discontinue antidepressants safely. Joe Graedon is a pharmacologist. Teresa Graedon holds a doctorate in medical anthropology and is a nutrition expert. In their column, the Graedons answer letters from readers. Write to them in care of King Features, 628 Virginia Drive, Orlando, FL 32803, or email them via their website: http://www.PeoplesPharmacy.com.